Network bandwidth requirements and random disconnection issues improvements. Dropping half-item stacks on other items stacks wont loose items. periodic saving of player character. I really enjoy this game and i have gotten some decent progress done i guess. I really enjoy the building and the combat. Ive played for 3 days so far and there is still so much to be done. I cant wait to build the boat and move on. I really hope this game gets much better and gets better optimized in the the future. If your wondering what happened to my base it just started off with the left part (wood) then i got the stonecutter and built my smelter and charcoal farm thing on the right side (stone). 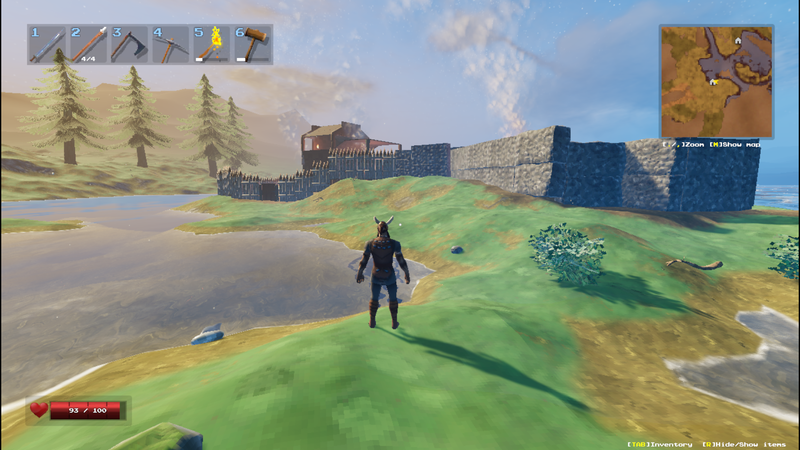 I am hoping to build more stone walls instead of the spike walls but for now its alright. 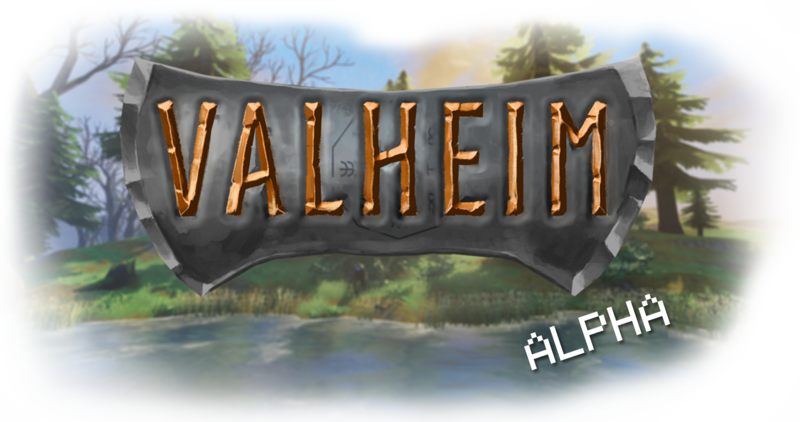 And in the meantime if you need any help on testing the game or anything I am always happy to help out! Anyways, keep up the good work and can't wait for future updates. PS: This update really helped with the fps lag is had xD! Its a base for now i guess, i built two other small outposts so far. Im hoping to make this one bigger one day. I also have a question, how can i find some trolls? I only found 3 so far and killed them and i need to kill one more to get the troll armor, plus is there any way to survive in the snow biome at the moment or do i need the troll armor to survive in there? Thats a very nice build you have there TimberShot! Thank you so much! Even though i know i could fix the minor errors i have in it but i couldnt find the time yet. I will for sure make it better in the upcoming days and make it look a lot better than this.